The global automotive industry is facing an inflection point. Technology disruption, increasing regulation, changing ownership models and new-entrant competitors are all combining to up-end traditional business models. Aston Martin Lagonda is not immune to these forces. But we are more than an automotive business — we are a provider of luxury products and services. While navigating all the issues impacting the auto industry, we are also seizing the opportunities created by the business of luxury — a sector that is evolving at a pace. It is worth restating what luxury really is. Luxury, by its very definition, is something beyond what is required. It is fundamentally a discretionary spend for a highly desirable product or service. Luxury should elicit an emotional and visceral response. If it is too easy to access or too easy to create, it simply becomes a commodity. 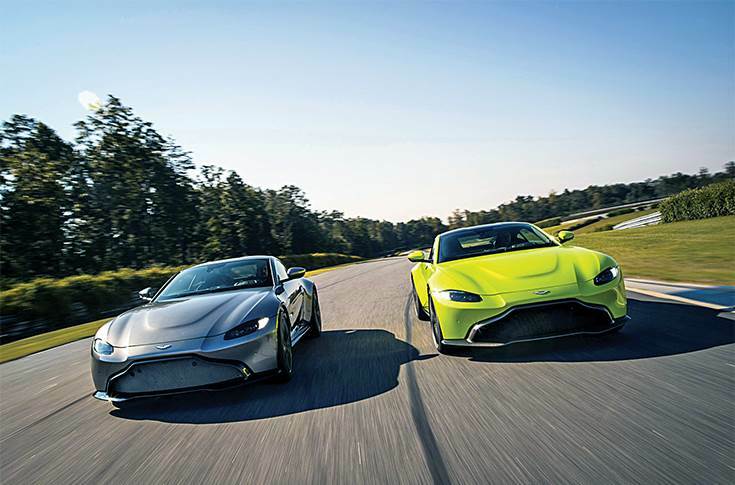 Aston Martin Lagonda, Bentley, Ferrari, Lamborghini, McLaren and Rolls-Royce compete for a share of the luxury car market, which is growing fast. We each produce somewhere between 4,000 and 10,000 cars per year with an average transaction price of more than 150,000 euros (Rs 1.2 crore). As good as the premium manufacturers are, and I consider brands like Porsche among the most well-run car companies in the world, true luxury and true exclusivity are not defined by annual volumes between 50,000 and 2 million cars, or at average transaction prices between 40,000 euros (Rs 32.5 lakh) and 80,000 euros (Rs 65 lakh). Aside from price and volume, what else defines luxury? Contrary to popular belief, being a heritage brand is not a pre-requisite (although it helps). Of the six players cited above, soon to be seven with the re-launch of Lagonda, only three were founded before the Second World War with two founded in the 1950s and one in the 1990s. I believe true luxury is ultimately a combination of price, volume, product creation and mythology. For Aston Martin Lagonda, luxury means cars that will never trade beauty for functionality. 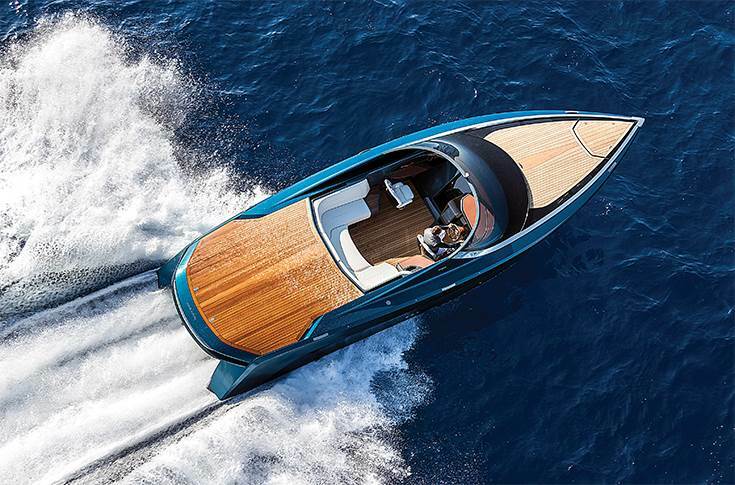 Luxury means cars that are hand-made in the United Kingdom using a combination of aerospace technology and the highest quality such as hand-stitched seats and almost unlimited personalisation. Luxury means being part of a small family of owners numbering around 85,000 since the company was founded in 1913. For context, our entire historical production volumes would take Toyota just three days to equal. When I arrived at Aston Martin Lagonda in late 2014, I came from Nissan, from a world of lean manufacturing and where it was hard to create a profitable model programme that would sell less than 100,000 units a year. As part of our drive to deliver a consistently high-quality product, Aston Martin Lagonda operates a hybrid manufacturing process that owes its origins to the Ford Product Development System, combined with the best quality systems from the Japanese car companies. Where our approach differs radically is the need for us to create a car that is more akin to a tailor-made suit, accommodating almost unlimited build combinations as our customers require, whilst at the same time operating in a lean and agile manner. I call our system ‘beyond lean’ and it is another example of how the luxury car companies have evolved and created a bespoke process that would be almost impossible to achieve at scale. If the best practitioners of ‘lean’ have established a standard of excellence, going beyond lean means achieving ‘something more’ than ‘mere excellence’. Having recently been through the Aston Martin Lagonda IPO and presented our business plans repeatedly to investors, it is very clear that the market recognises and rewards true luxury. Although some of the noise created in the market after our IPO is frustrating, most of our shares are today held by investors that have scrutinised our business plans, recognised the potential of the luxury market and seen that the barriers to entry — the necessary characteristics of being a true global luxury brand — effectively exclude new entrants into the market. The luxury market is growing. With the wealth of high net-worth individuals set for compound annual growth of more than 6 percent through 2025, this is a time of great opportunity, but it is also vital to become more relevant to the younger generation as that component of the population is forecast to drive a significant element of global wealth creation. Fortunately for our market, this group of consumers loves to buy cars and when compared to other segments such as personal luxury goods or private jets, the luxury car market continues to see the largest growth in absolute spend. Luxury products need to be ‘must-have’ products. As the luxury business evolves, we have to connect with a new generation of customers, whilst remaining true to the things that make Aston Martin Lagonda the aspirational luxury brand that it is. Producing and selling cars is no longer enough. Today’s Aston Martin customers have the opportunity to fully immerse themselves in the Aston Martin lifestyle. 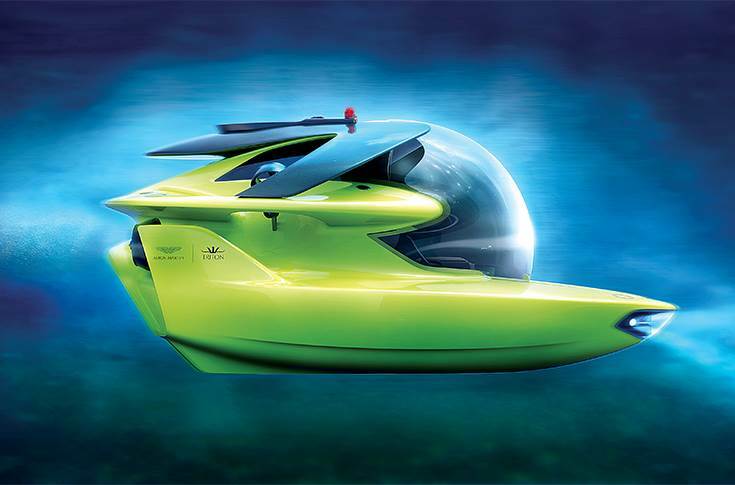 They can buy an Aston Martin luxury apartment, or an Aston Martin yacht, or to be truly immersed — a submarine! 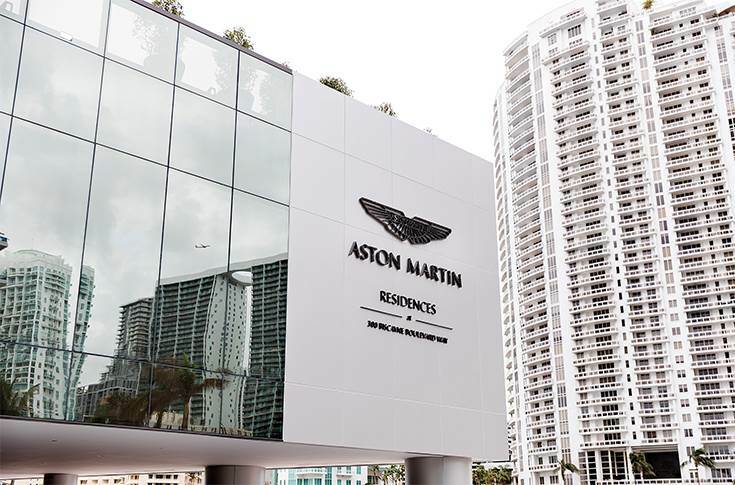 They can attend bespoke Aston Martin events, via our ‘Art of Living’ programme’ or live the lifestyle through our collaborations with other luxury brands such as Waldorf Astoria. So what of the future and why, despite the massive changes affecting our industry, will luxury brands continue to thrive and why will new entrants continue to find that acquiring and maintaining the capacity to become a luxury brand is beyond their reach? We are in the process of creating a new luxury brand: Lagonda. When setting the strategy for the Lagonda brand, we realised that simply creating a third brand of large luxury sedans and SUVs to compete against the duopoly of Rolls-Royce and Bentley was never going to work. So we approached the market more like a technology start-up than a traditional automaker. We noticed that luxury and technology were rarely combined. Perhaps the partnership between Apple and Hermes with the Apple Watch was among the first examples, but overall it appeared that true luxury and technology were mutually exclusive. We then looked at the emergent electric vehicle market and the demographics of the buyers, who were typically of an early adopter mindset with a high level of affluence, education and with an open mind to innovation. 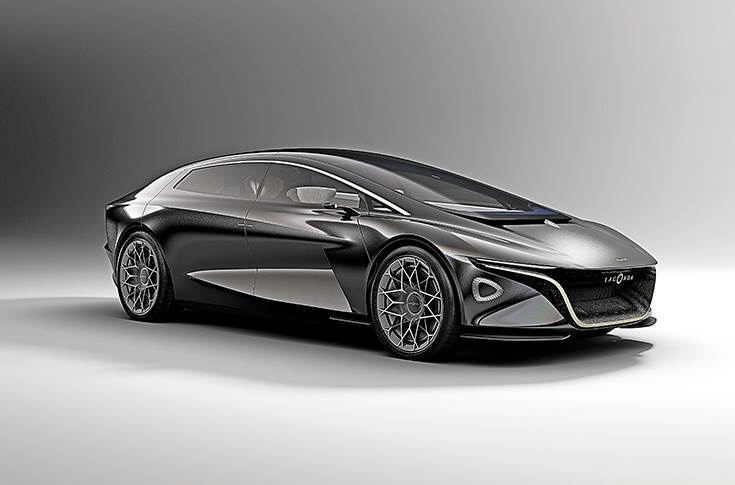 Lagonda Vision Concept previews an ultra-luxury sedan with all-electric power and advanced autonomous ability. Lagonda will be the first zero emission luxury car brand in the world and delivering on my original premise about what defines true luxury: namely price, volume, product and mythology. Aston Martin Lagonda will also be the first luxury brand with an EV on sale. In less than a year from now we will start production at our new factory at St Athan of the Rapide E, an electric version of our acclaimed four-door Rapide S model. Despite the massive changes coming to the automotive industry through connected cars, autonomous cars, shared mobility and electrification, I believe the market will continue to place a price premium on those brands that deliver a true luxury product. Today the luxury market stands at six players with Lagonda making seven when we launch our electric luxury SUV. I will make a bold prediction that 10 years from now, we will not see any new luxury brands establishing a credible position in our market. Conversely, under pressure to achieve greater profit through volume, we might see at least one of the established luxury brands descend into the premium segment. Of one thing I am certain: those leaving the luxury segment will not include Aston Martin Lagonda.